China Development Bank (CDB) was founded in 1994 as a policy financial institution under the direct leadership of the State Council. It was incorporated as China Development Bank Corporation in December 2008, and officially defined by the State Council as a development finance institution in March 2015. CDB has a registered capital of RMB 421.248 billion. Its shareholders include the Ministry of Finance of the People’s Republic of China (36.54%), Central Huijin Investment Ltd. (34.68%), Buttonwood Investment Holding Co., Ltd. (27.19%) and the National Council for Social Security Fund (1.59%). CDB provides medium- to long-term financing facilities that serve China’s major long-term economic and social development strategies. By the end of 2017, its assets grew to RMB 15.96 trillion, a balance of loans of RMB 11.04 trillion. We also further enhanced our sustainability and risk management, delivering a net profit of RMB 113,600 million, ROA of 0.75%, ROE of 9.45%, and capital adequacy of 11.57%. Professional credit rating agencies including Moody's and Standard & Poor's have rated CDB at the same level as China’s sovereign rate. 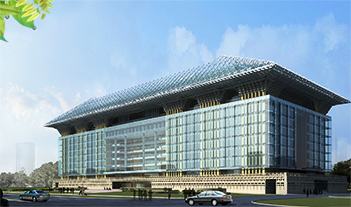 CDB is the world’s largest development finance institution, and the largest Chinese bank for financing cooperation, long-term lending and bond issuance. CDB currently has 37 primary branches and 3 secondary branches on the Chinese mainland, one offshore branch in Hong Kong and 10 representative offices in Cairo, Moscow, Rio de Janeiro, Caracas, London, Vientiane, Astana, Minsk, Jakarta and Sydney, with about 9,000 staff. Its subsidiaries include CDB Capital Co.,Ltd., CDB Securities Co.,Ltd., CDB Leasing Co.,Ltd.,China-Africa Development Fund and CDB Development Fund.